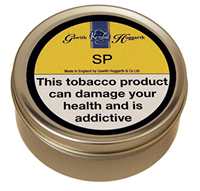 I am still relatively new to the wonderful world of snuff and have been working my way through the many great ones out there to find a suitable everyday enjoyable non-medicated snuff and THIS is it!! Fine ground and slightly moist, and with a wonderful scent, if you enjoy SP type snuffs you will love this. It's different than other SPs from the various manufacturers. It's a very good snuff.